Can I accelerate my ELISA results? Running an ELISA can be a pain. Identifying pairs for an ELISA is a tedious business, and that’s before developing and validating the ELISA assay itself. 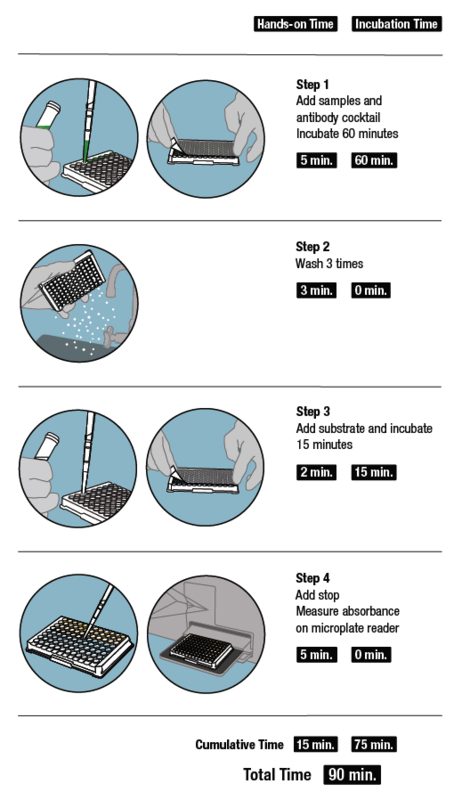 Using a kit can simplify the process, but at what cost? Will that kit hinder reproducibility by introducing lot-to-lot variability over the course of my project’s lifetime? Many kits still require numerous reagent addition, incubation, and wash steps that add hands-on time and complexity to your assay. And if you’ve felt this pain before, we hear you. We’re always trying find ways to make life simpler for those in the lab. So, we’ve addressed some of these issues head on. We developed FastScan™ ELISA. 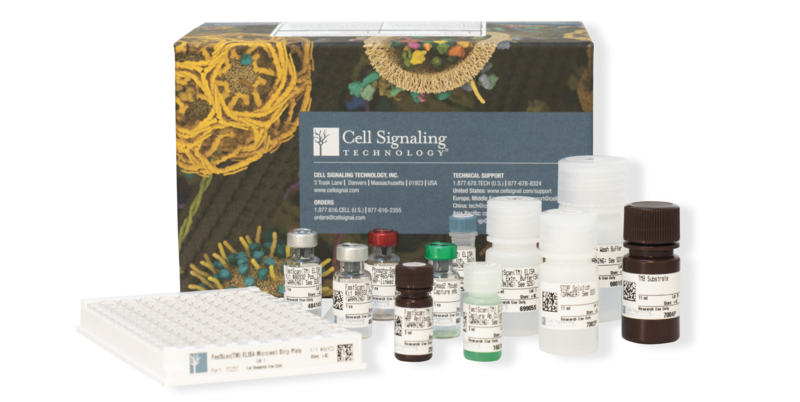 These kits let you move through research and discovery phases faster. 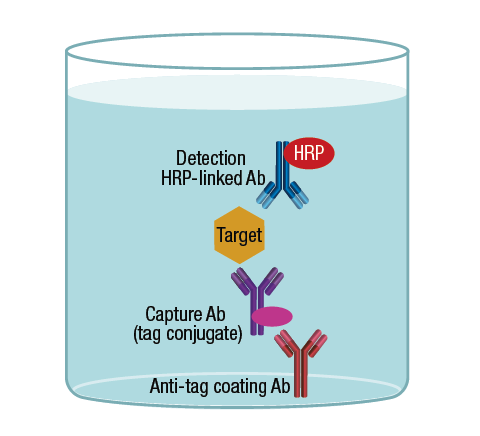 We’ve identified optimal antibody pairs and done the assay development and validation up front to make sure your results are accurate across the lifetime of your discovery project–from target validation through preclinical phases. Even if that project takes longer than anticipated, there’s no need to sweat it! Our ready-to-go kits use a simple, 90-minute protocol that easily integrates into your current processes, streamlines assay transfer, and lets you rapidly detect targets. Maybe you can add a few extra coffee breaks into your day. We won’t tell if you don’t. These kits are available for both phosphorylation-specific and total protein options and come with integrated controls, so your day-to-day results stay on track. They also cover disease targets in cell biology, epigenetics, immuno-oncology, and neuroscience and include a wide selection of assays to measure key cellular signaling proteins. Sounds great, but how does it work, right? The simple FastScan ELISA protocol reduces your hands-on time in half and incubation times by 3X. Your sample, along with capture and detection antibodies, are added to the precoated microwell, incubated for ~1 hour, and then washed 3 times. Next, substrate is added and incubated for 10 to 15 minutes before stop solution is added, followed by signal measurement. The results you need in only 90 minutes! FastScan ELISAs use a less complex, solution-based assay format with fewer overall steps, so time to results are much faster compared to conventional protocols. You’ll also get consistent results across biological sample types with sensitivity that’s comparable or better than traditional sandwich ELISA. CST scientists preselect antibody pairs based on their optimal activity in solution phase. FastScan ELISA kits, along with the recombinant antibodies and reagents that come in each kit, are also developed, produced, and rigorously validated in-house. So, you can be absolutely certain of accuracy, lot-to-lot reproducibility, and consistency of results between users and sample types. Learn more about FastScan ELISA.